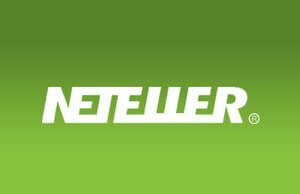 HomeGambling NewsWill Neteller Return to USA Online Gambling? The 2006 signing of The Unlawful Internet Gambling Act into law saw some online sites and payment transfer companies fail to comply with all terms and become the first examples for others in their fields. Those that ran afoul of the new bill saw site closures, lawsuits, and the rejection of U.S bettors from international sites like those in the UK. The most widely known application of this bill has been the poker scandal colloquially dubbed Black Friday by the internet poker community. Sites that failed to act in accordance faced steep punishments such as the April 15, 2011 seizures of the internet addresses for UB.com, Ultimatebet.com, Pokerstars, Absolutepoker, and Fulltiltpoker. These five sites represented some of the most profitable poker sites of the three top online poker networks (Full Tilt, Poker Stars, and Cereus Poker Network) in the United States at the time. In late June of the same year, after further investigation, Full Tilt was further barred from accepting new customers, accepting from or releasing funds to existing members, and completely disallowed from hosting any poker gaming whatsoever through their site until settlements could be made. Players are now receiving restitution for the value of their Full Tilt accounts, which were locked down by the U.S. Attorney's Office. Those whose business was the transfer of money to and from players and the websites themselves weren't spared from the swift action undertaken by the law. Neteller, a major processor of online gambling transactions, was found to be in non-compliance with the 2006 law and faced the return of $94 million to players across the United States. The company did admit to operating "as an unlicensed money transmitting business" in the United States" but, with the infringements against The Unlawful Internet Gambling Act completely dealt with, is allowed to return to business within the United States. An optimistic Joel Leonoff, CEO of Optimal Payments Plc, the parent company to Neteller, says, "with our U.S. financial institution sponsor, we are leveraging Neteller's flexible deposit and payment options and with our expertise, resources, and management are offering something truly unique in the U.S." Currently, they are in the negotiation phase of re-entry within the legal bounds of Federal and State law and have chosen Nevada and New Jersey as the correct vectors to do so. This move places them in a good position for a brand relaunch as these states are two of the three in the country that have online gambling fully legalized, so it's quite realistic that we'll see legal USA casino sites accepting Neteller by 2014 or 2015. Expanding legal compliance and online gambling itself expanding has given rise to speculation as to the future of other e-wallet businesses, such as PayPal, staging a comeback to the world of online gambling. Will we see USA online casinos accepting Paypal next?